The Pipes of Christmas will celebrate its nineteenth season with performances in New Jersey and New York this December. The 2017 production will mark the world premiere of Beautiful Things, an original composition by acclaimed Celtic harper Cormac de Barra (RIGHT) of Dublin, Ireland. The piece commemorates the vision of the Virgin Mary at the Knock Parish Church in Knock, Ireland on the night of August 21, 1879. Earlier this year, the remains of John Curry, the last remaining witness to the vision, were reinterred at Old St. Patrick’s Cathedral in New York City from the pauper’s grave where he was laid to rest in 1934. His Eminence Timothy Cardinal Dolan, Archbishop of New York, supervised the service. For those weary of the ceaseless stream of secular seasonal music from department stores to TV, the Pipes of Christmas offers a spiritual and traditional take on the season that connects concertgoers to the holiday in a fresh, meaningful way. The show features tunes such as O Come, O Come Emmanuel, Joy to the World, and Amazing Grace, all performed live on pipes and drums, harp and fiddle, and organ and brass. Not only does the performance define Christmas cheer but also it inspires those of Celtic descent to retrace and reconnect to their ancestry. The concert presents the music of Christmas accompanied by readings taken from the Celtic literature of Ireland, Scotland and Wales. Featured performers include James Robinson from “Outlander” and “Braveheart,” New England fiddle champion Paul Woodiel, “Riverdance” Irish uilleann piper and flutist Christopher Layer, Gaelic Mod champion harpist Jennifer Port of Golspie, Scotland, and the Pipe Major Kevin Ray Blandford Memorial Pipe Band from Redlands, CA. Proceeds from the concert support an extensive music scholarship program, which includes the Carol Hassert Memorial Fine Arts Scholarship at Summit High School in Summit, NJ as well as annual gifts to the National Piping Centre and the Royal Conservatoire of Scotland (both located in Glasgow, Scotland) the Gaelic College of Nova Scotia and Lyon College in Batesville, Arkansas. Proceeds also support the Society’s sponsorship of the US National Celtic Harp Championship, the Gaelic Literature Competition at Scotland’s Royal National Mod and an annual academic research prize at Sabhal Mòr Ostaig, the acclaimed Gaelic college on the Isle of Skye. Named one of New York City’s “Top Ten” holiday events, the concert is made possible by a generous gift from the Grand Summit Hotel in Summit, NJ and Aberlour Single Malt Whisky. Each year, concert highlights are webcast in hi-definition over the Christmas holiday to a global audience. The 2016 production was the recipient of the prestigious Telly Award for broadcast excellence. 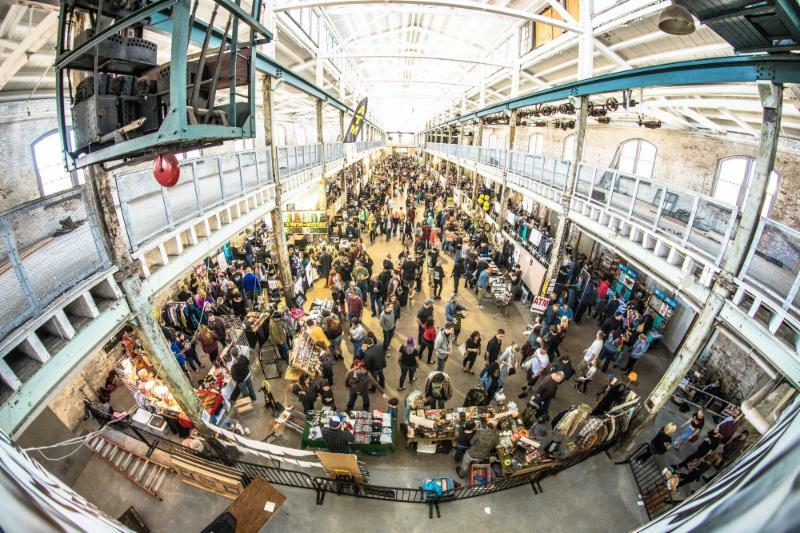 WHEN: Saturday, December 2, from 12-5pm. Graphic novelists and comic book artists will be set up throughout the art center, showcasing and discussing their work, offering workshops and book signings, and selling merchandise. Following a brief welcome and introduction, four artists will participate in two talks in the main gallery. The first, running from 2-2:30pm, will include artists Howard Saunders and Julia Alekseyva. Saunders spent 30 years as an illustrator, cartoonist, animator and a writer and created his alter-ego and the main character of his work, AxeMan, as a way to express his artistic independence post-retirement. Alekseyva, born in the USSR but raised in Chicago, is a cartoonist and illustrator who specializes in multi-media drawing. She won awards for illustrating the first graphic novel legal brief ever created (written by Bob Kohn). Her first full-length graphic novel, titled “Soviet Daughter” was published in January, 2017. The second talk, which will take place between 4-4:30pm, will feature Darrell Goza and Dana Walwrath. Goza was a studio assistant for 15 years before becoming a creative director for Beatnik Productions and Dreadlockedninja Publications. For the past ten years he’s self-published through his own imprint Goza Creative/ScriptGraphics. Walrath is a writer, artist, and anthropologist and has won recognition and numerous awards for her writing, including her graphic memoir series “Aliceheimer’s: Alzheimer’s Through the Looking Glass,” about life with her mother, Alice, before and during her struggle with Alzheimer’s disease. In addition to the two artist talks, children will have the opportunity to create comic book covers to use as holiday cards in one of the day’s two workshops. The first session is for children ages 6-9, and runs from 12:30 – 2pm at a cost of $35. The second session is for children ages 9-12, and runs from 2:30 – 4pm at a cost of $50. Food and drink will also be available for purchase. For more information on “Getting Graphic” visit www.artcenternj.org. To preregister for either workshop, please contact Sarah Walko at swalko@artcenternj.org. Drop-ins are also welcome. WHEN: Friday, December 1, 2 p.m. 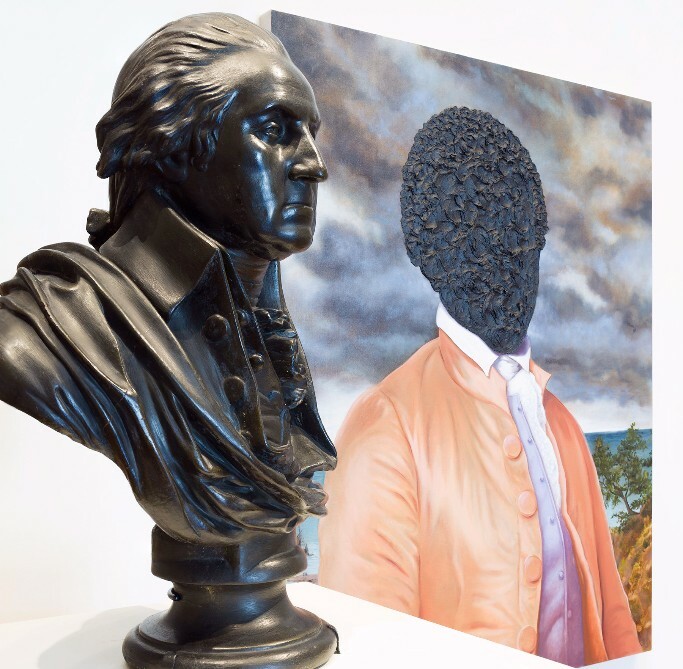 In conjunction with the installation Making History Visible, Martha Sandweiss, director of the Princeton & Slavery Project, moderates a discussion about how visual forms, economic systems, and civic institutions shape historical narratives as well as national, cultural, and racial identities. Speakers include Wendy Warren, History; Imani Perry, African American Studies; and curator Mitra Abbaspour. Student-led tours and a reception in the Museum will follow. WHEN: Saturday, December 2, 2 p.m. Widely considered one of the foremost landscape photographers of his generation, Michael Kenna has been making photographs of settings ranging from Japanese Zen gardens to industrial landscapes for more than forty years. In conjunction with the exhibition Rouge: Michael Kenna—featuring photographs from his work at what once was the world’s most advanced industrial site—the artist will speak to the experiences and influences of his photographic explorations. A reception in the Museum will follow. WHEN: Tuesday, December 5, 6 p.m. In conjunction with the exhibition Clarence H. White and His World: The Art and Craft of Photography, 1895–1925, the Art Museum and the Princeton Symphony Orchestra present internationally acclaimed Dutch pianist Nora Mulder in a concert dedicated to the music of the early twentieth-century avant-garde composer Henry Cowell. This performance features a mix of pieces that Cowell performed in a public concert in Clarence White’s studio in 1919 and others he presented at the Stowaways, a club where White was a member. 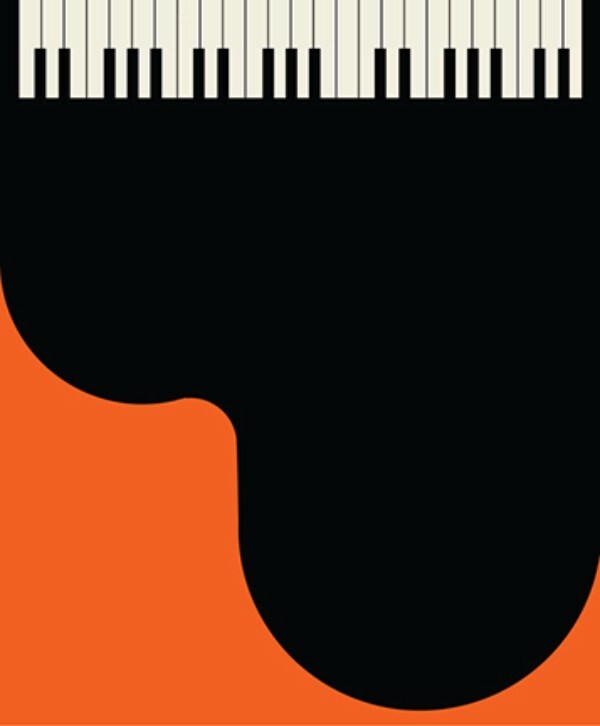 Tickets can be reserved at princetonsymphony.org. Looking for a special gift this holiday season? Eager to share your passion for art? 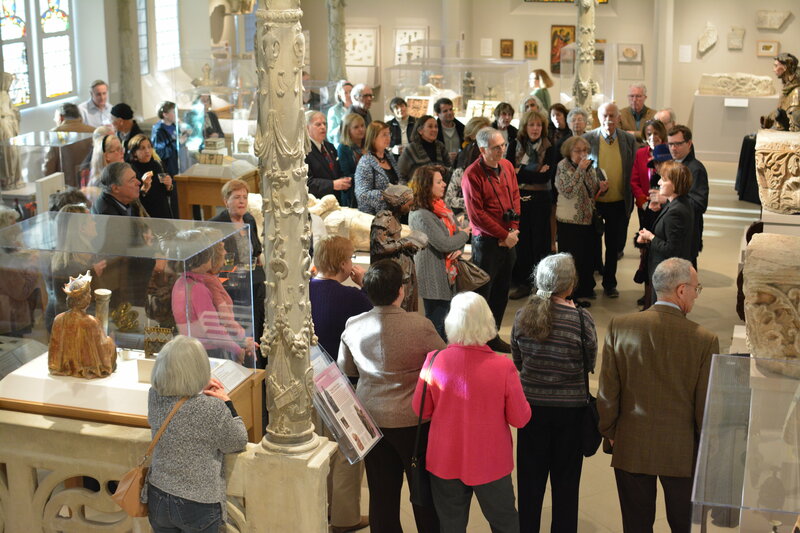 Make art a part of someone else’s life with the gift of Friend-ship—namely, a gift of membership to the Princeton University Art Museum. Friends receive discounts at the Museum Store, a subscription to our quarterly magazine, invitations to members-only receptions and events, access to the Museum Travel Program, and much more. Click here to support the Museum and give the gift of Friend-ship today! Celebrate 26 years of gingerbread masterpieces! 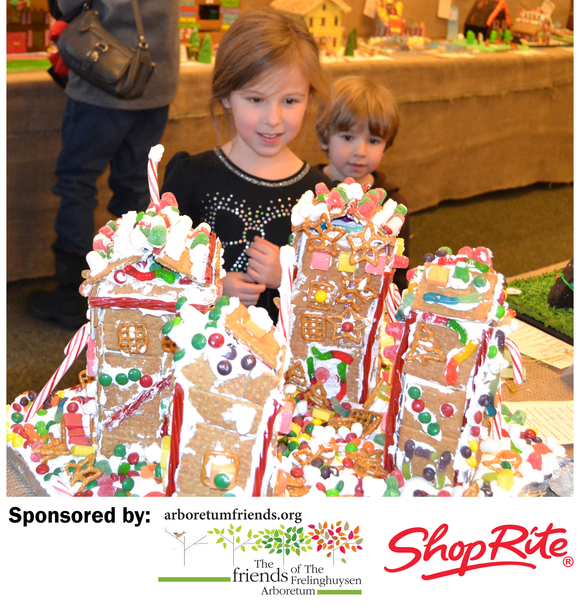 Guests, young and old, marvel at the creativity and skill displayed at this charming exhibit featuring hundreds of edible structures. 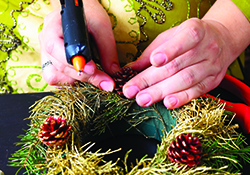 Stop by the Craft Show, and check out local artists and crafters’ creations. Click here for more info. 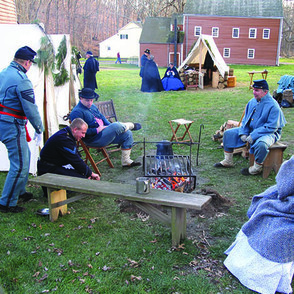 Travel back in time, and experience the holidays during the Civil War-era. Check out how soldiers prepared food, built winter huts to keep warm, wrote letters home to loved ones, and so much more. Check it out here. Take a break from the holiday celebrations, and get moving. 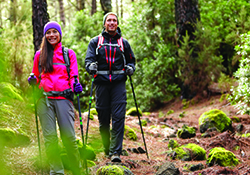 Enjoy a strenuous winter hike with a naturalist on the gorgeous trails. Open to ages 16 & up. Check it out here. Using a variety of fresh-cut greens and flowers, create a seasonal centerpiece - perfect for the holiday table! Open to grades 1-5. I want to learn more. 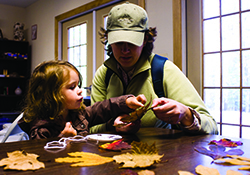 Discover how scientists classify living things, while rotating through hands-on activity stations and a guided trail walk designed to challenge families to work together and make new discoveries. Learn more here. 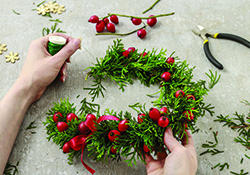 Use freshly cut seasonal greens, decorations, and a natural container to design and construct a centerpiece perfect for the table or mantelpiece, and a second smaller arrangement to give as a gift. Open to grades 6-12. More info here. 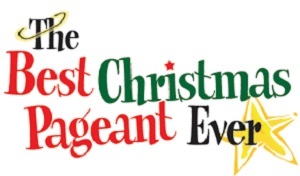 “THE BEST CHRISTMAS PAGEANT EVER” OPENS @ SOMERSET VALLEY PLAYERS THIS WEEKEND: BRING THE FAMILY! Santa checks his list for who's naughty and nice—and the Herdman kids are just plain naughty. See how they hilariously hijack the church Christmas pageant and begin to perform it in their own rough and tumble style. The real spirit of the season enriches their lives as they start to appreciate the true meaning of the peace and love brought forth by a baby in a manger. A wonderful holiday story for all ages! TICKETS: $20 (advance purchase), $25 (if purchased at the door) and open to the public. Student/Senior discounts are also available. Tickets can be purchased online through Eventbrite by clicking the link HERE. A little girl’s disappearance in the woods near Princeton, NJ prompts a tense confrontation among a neighborhood plumber, professor, and teenage boy. In this gripping psychological thriller, three neighbors discover how far they are willing to go to defend the values—and the secrets—that define them. The cast will feature MDR members Norbert Leo Butz (Broadway: My Fair Lady, Catch Me If You Can (Tony Award), Dirty Rotten Scoundrels (Tony Award), Big Fish, Wicked, TV: Netflix’s Bloodline, PBS’s Mercy Street); Maury Ginsberg (Off-Broadway: Laugh It Up, Stare It Down. Regional: The Cherry Orchard, Mother Courage. TV: Elementary, Madam Secretary, The Blacklist, and HBO’s Vinyl) and Lucas Calhoun (Broadway/West End: The Elephant Man. Regional: Improv Olympic-West, The Second City Hollywood. TV: Madam Secretary, I love you but I lied, and Billions. Sawyer Nunes rounds out the cast (Broadway: Matilda, Finding Neverland. Regional: Something Wicked This Way Comes, Because of Winn Dixie. TV: Madam Secretary, Power and Instinct. Film: Breatharians, 37, Wonderstruck. Self-produced: 50/50, Songs I Wrote in my Room. Mark Armstrong is a Brooklyn-based theater director and the Executive Director for The 24 Hour Plays. Recent directing credits include Christopher Shinn’s, Falling Away, and The Coming World (Williamstown), Lucas Hnath’s Odile’s Ordeal (Williamstown), Dan O’Brien’s From Kandahar to Canada, Max Posner’s Old Folks, and 30 Million, a new musical with music and lyrics by Max Vernon, and book by Jason Kim (Keen Company). Other credits include development and directing work at Naked Angels, Primary Stages, New Dramatists, Williamstown Theatre Festival, Hartford Stage, Lincoln Center Theater, TheatreSquared, Roots & Branches, The New York Neo-Futurists, and many more. Mark is the former Director of New Work for off-Broadway’s Keen Company, where he created the Keen Playwrights Lab for mid-career playwrights and led Keen Teens, producing new plays with high school actors from the five boroughs of New York City. 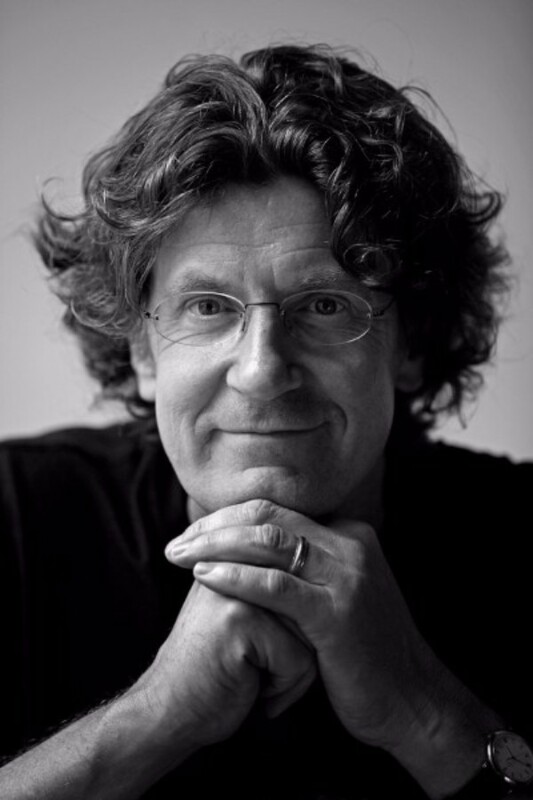 Mark is a member of Ensemble Studio Theatre, the Stage Directors and Choreographers Society, and Lincoln Center Theater Director’s Lab. Midtown Direct Rep (MDR), the resident theater company of The Woodland in Maplewood, NJ, is a professional, ensemble-based theater company of over 100 working Broadway actors and theater professionals who call South Orange and Maplewood home. Midtown Direct Rep is dedicated to developing and presenting new plays and musicals focusing on work that reflects our diverse community. Midtown Direct Rep is also the local presenter of the hugely successful event Listen to Your Mother, which showcases local writers and performers each year around Mother’s Day. Company members include two-time Tony Award-winner Norbert Leo Butz, Tony Award-winner Michele Pawk, Tony Award-nominees Stephanie J. Block, Megan Lawrence, and Christiane Noll, plus Sebastian Arcelus, Joel de la Fuente, Bradley Dean, and many others. Guest actors have included James McDonald, Michelle Hurst, Geoffrey Arend, and Academy Award®-winner Olympia Dukakis. Recent projects include work by Matt Schatz, Kate Moira Ryan, Y York, Jack Canfora, Peter Flaherty, Jeremy Desmon, Chad Hardin, James Hindman, Chisa Hutchison, David Johnston, Kait Kerrigan, Kara Lee Korthron, David Myers, Sandy Rustin, John Walch, Douglas J. Cohen, Zoe Samuel, and others. The Company is led by Managing Director Aliza Wassner, Artistic Producer Steven Tabakin, Artistic Associate Marni Raab, and Artistic Advisor Sandy Rustin. For more information, visit http://www.middirrep.org. Featuring original, hand-crafted jewelry, cards, clothing and home items by local artists. Charlton Heston stars as Michaelangelo. Film critic Stephen Whitty will introduce this epic film based on the novel by Irving Stone. Based on the Novel, "The Jungle Book" by RUDYARD KIPLING. ***PLEASE BE ADVISED THAT ONLINE TICKET SALES END 2 HOURS PRIOR TO CURTAIN TIME. TICKETS MAY BE PURCHASED AT THE BOX OFFICE IN PERSON ONE HOUR PRIOR TO CURTAIN TIME. HOWEVER, ALL TICKETS PURCHASED IN PERSON AT THE BOX OFFICE ARE SUBJECT TO AVAILABILITY AND WILL BE $20 WITH NO EXCEPTIONS. TICKETS MAY NOT BE PURCHASED BY PHONE. The Jungle Book is the story of a boy abandoned to the jungle, Mowgli, who must learn to find his place within the longstanding community of animals. Taught by Baloo the bear, Bagheera the black panther, and Akela the old wolf, Mowgli is enlightened with the sacred master words of the hunting people. WHEN: Sunday, Dec. 3, 2-5 p.m.
TICKETS: $20 per person and includes lunch (sandwiches and salads), dessert buffet, soda and beer. Tickets may be reserved by phone (973-928-7668); online via the theater’s website or regular mail—payment by check only. Tickets also will be sold at the door on the day of the concert. The Theater League of Clifton’s mailing address is: PO Box 4072, Clifton, NJ 07012. The program will feature three local bands—Mixed Nutz, The Manhatten Brothers and Common Conviction—performing rock and roll and pop music from the 1950s to the 1980s. Proceeds from the event will to go to support the Theater League of Clifton and to purchase presents for children at Hackensack Medical Center during the upcoming holiday season. Mark Peterson is the president of the Theater League of Clifton. Robert Foster is the executive director of the Boys & Girls Club of Clifton. Clifton Savings Bank is a corporate sponsor for the Theater League of Clifton. WHEN: Friday, December 1, at 8 p.m.
WHERE: Welpe Theatre at Raritan Valley Community College’s Branchburg campus, 118 Lamington Road. TICKETS: $12 per person, $8 for students and seniors. Tickets may be purchased at the door on the night of the concert or in advance from the Theatre box office, 908-725-3420. The box office is open Monday through Friday, 11 a.m. to 4 p.m. The program will feature Franz Josef Haydn’s Missa Brevis (St. Joannis de Deo) as well as works by Bach and a cappella pieces from the Renaissance by Thomas Morley, Antoine Busnois and Josquin des Prez. The program also will include an audience singalong of traditional carols. Directed by Dr. John Sichel, RVCC Assistant Professor of Music, the RVCC Chorale is composed of students, former students and members of the community. The holiday concert’s performers include Eleni Catanzaro, Melissa Jo Donlay, Carina Gonzalez, Gillian Koch, Kaitlin May and Mia Mazzariello, sopranos; Ruth Dilley, Jennifer Kapoian, Alison Quairoli, Jane Sausanavage and Theresa Vitovitch, altos; Patrick Gardner, Daniel Hogan, Christian Loree and Anthony Martinez, tenors; and Michael Krupinski and Rudy Plesmid, basses. Gregory Stout is the Chorale’s accompanist. 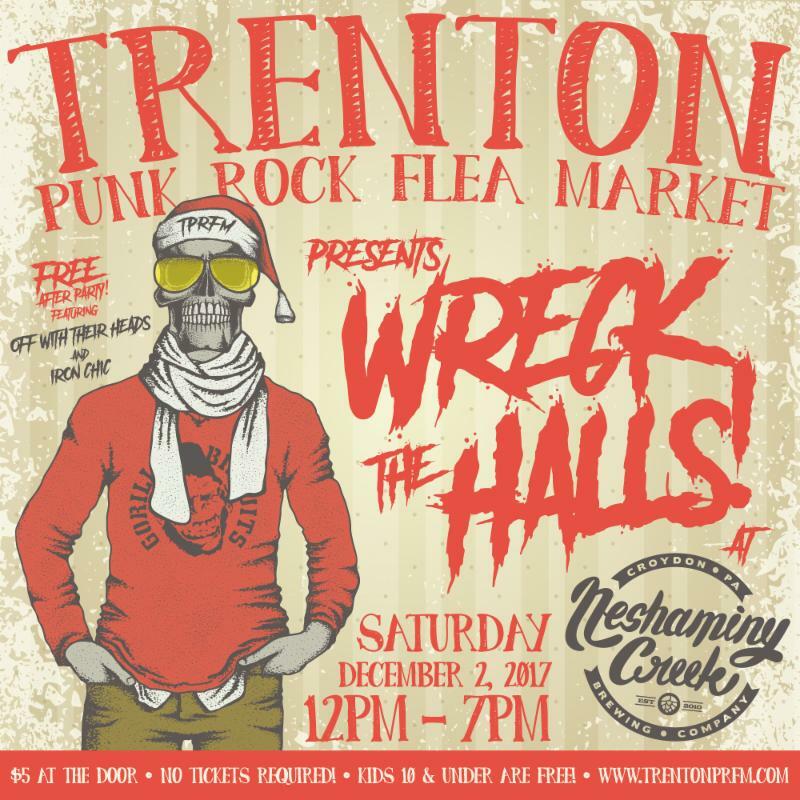 THE TRENTON PUNCH ROCK FLEA MARKET RETURNS ON SATURDAY! 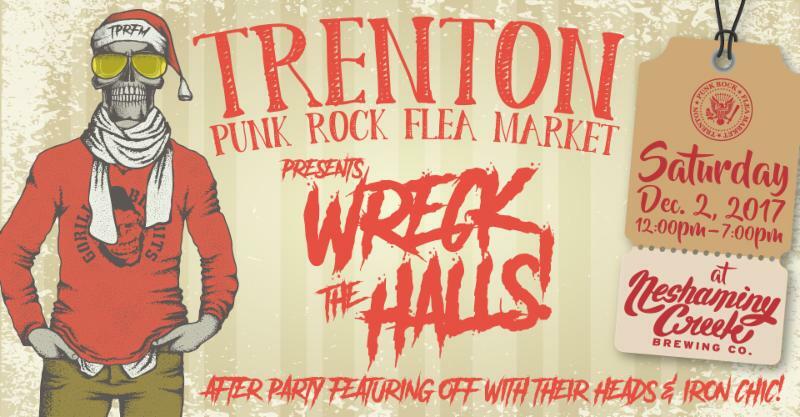 Silkscreen Posters and T-shirts, Taxidermy, Vintage Toys, Antiques and Curio, Handmade Jewelry, Oddities and more! Click here for Exact Directions from Your Location! for all of our upcoming 2018 events and dates!